PRS EG 2 BOLT-ON (USA 1992) with maple top `10` option - guitarfritzs Jimdo-Page! PRS buit their EG BOLT-ON SERIES II from1992 to 1995. Rounder shape. 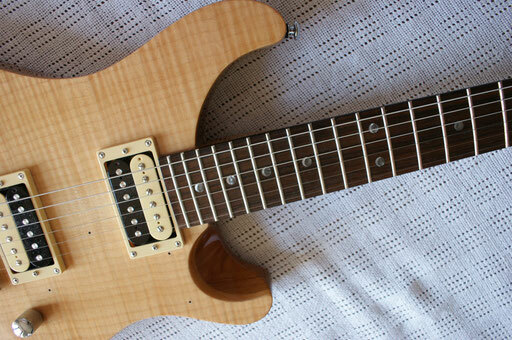 Alder body, wide thin maple neck, 22-fret rosewood fretboard. Scratchplate mounted pickups in three formats, h/s/h, s/s/h, s/s/s, volume, tone, 5-way selector, coil taps, PRS tremolo, locking machines. 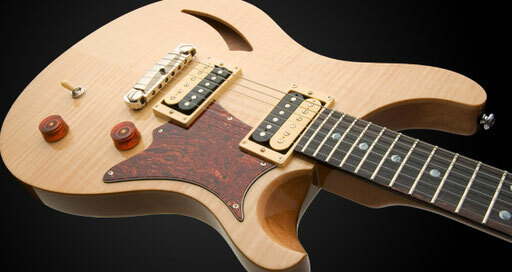 EG bolt-on maple top adds three piece maple, ‘10’ option. This guitar here has no coil taps but there is a push-pull switch on the tone pot that adds a capacitor and gives you a darker sound. Very nice. These pickups here are Lindy Fralin made "Domino" split-singlecoils for hum-free operation. Everything is US-made, the hardware is exactly the same stuff and quality like all other PRSs of that period. 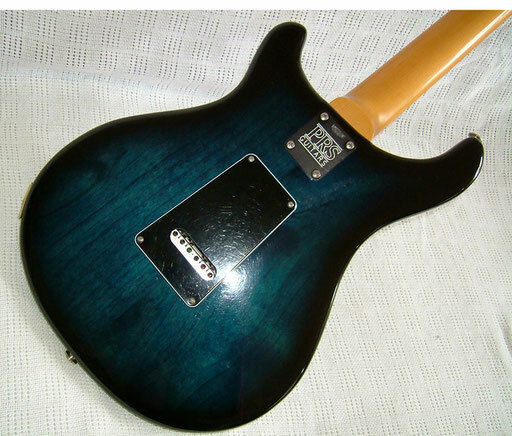 PRS SE from Korea didn`t exist yet. 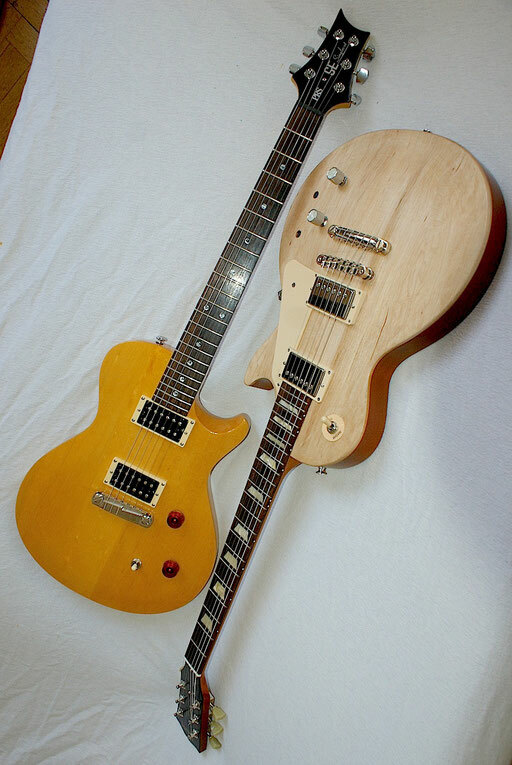 Paul Smith is quoted that the company lost money by producing these guitars. They were aimed at "poorer" folks and people from the Fender-camp and had to be unexpensive. But then production costs proved to be almost as high as for the upmarket models so the idea flopped. At least one dude on Ebay called this guitar a "Strat killer". This strong grain looks more like ash to me, not alder like PRS sais. 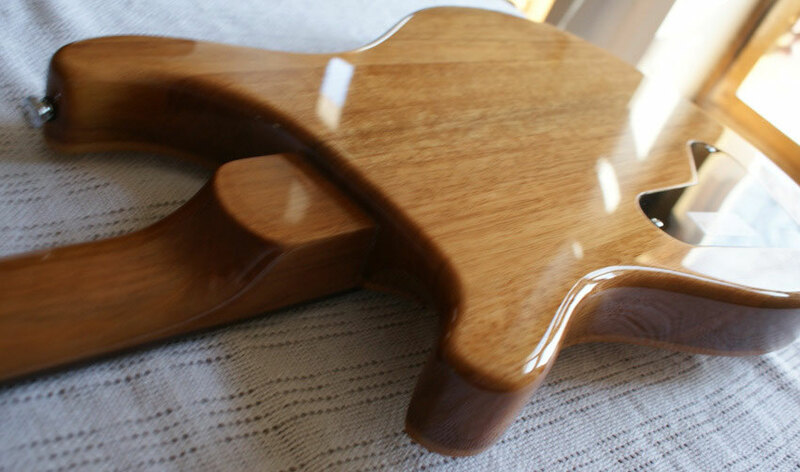 According to PRS this must be a three piece maple "10-top". But what about the finish? 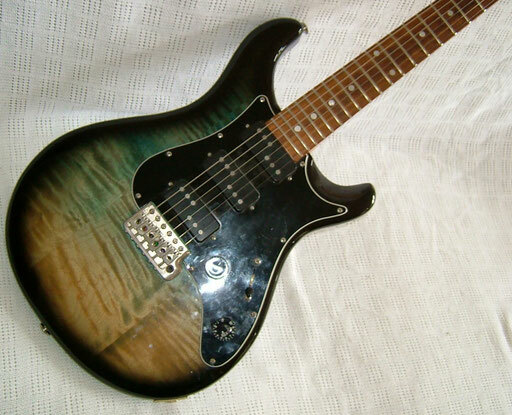 Note that this guitar used to be dyed in "whale blue". The back still is and also the parts underneath the pickguard still are. But what happend to the top? It was bleached somehow... Not really beautiful, right? 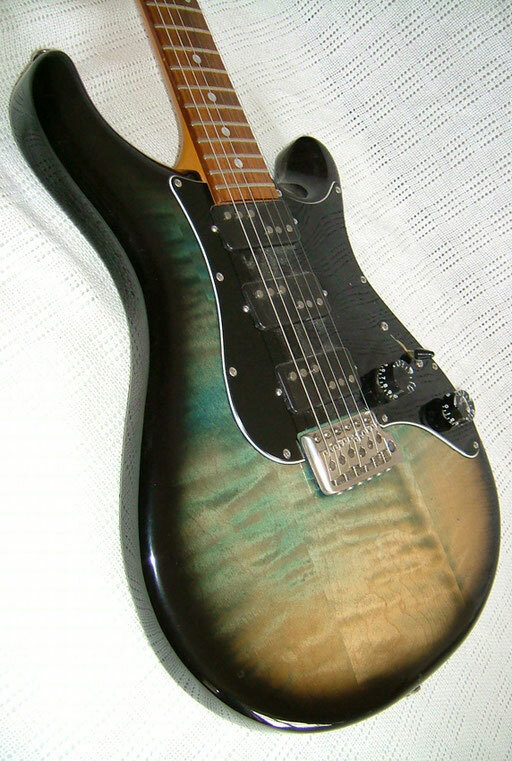 But at least this unique top helped me recognize this guitar everytime I saw it before I got a chance to buy it. One day I saw this used guitar hanging in my favourite guitar shop called "Major 7 ". I liked the shop and the guitars a lot, but Alfie, the owner, kept confusing me. He seemed to love all his guitars so much that he didn`t want to sell them. 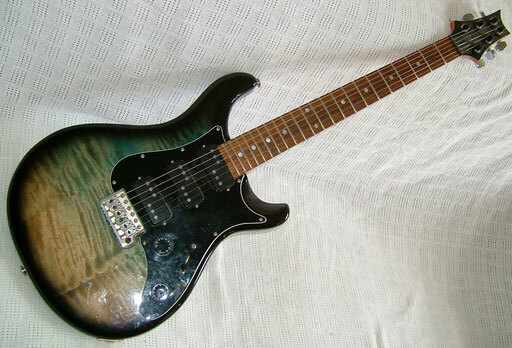 This was one of the very first PRS guitars that I saw in my life and it had that "faded green vomit burst" already then. I went in the shop and had to listen to Alfies blablabla for over half an hour before he finally said that he wanted 2800.- bucks for it! Totally ridiculous for a second hand PRS with a bolt on maple neck! I would have payed half of it or 1600.- or maybe even 1800.-. It was just a used guitar and it wasn`t one of these posh PRS-dentist-or-lawyer-only-models! But Alfie insisted that he wasn`t the owner and that this incredible price was what the owner asked for it. Much, much later I saw an advertisement in the newspaper. Someone sold a PRS for 1100.- bucks. I phoned and went there immediately and realized at once that it was THIS guitar again... I told the man who wanted to sell it that Alfie had asked 2800.- for it. And the man reacted pretty surprised. "I always told Alfie, I wanted only 1100.- for it" he said, shaking his head, "And Alfie told me he wasn`t able to sell it for that price!" So one day I took it back home." I bought this guitar for 1100.- from the original owner and Alfie didn`t make any money with it. He could have easily earned 300 to 700 bucks with it but his greed made him the loser and me the winner. I`m not yet convinced by this guitar. Everything is original and playability is really great and so is the vibrato. But these "PRS Winged Locking Tuners" are a real pain in the neck for me. I just don`t get it... the collar ... the wing ... not my favourite swiss army knive. And the sounds are hum-free but there is something missing (not the hum) I don`t know what it is. The guitar sounds a bit lifeless and weak. I think I`ll have to experiment a little with different pickups. I prefer this PRS SE Semi-Hollow here. I play it a lot in front of the TV without an amp and it plays so well, feels so good and sounds even better. This construction is perfect. It is very much "alive"and dynamic, warm, full, punchy and clear ...it blows me away. I think it is a little masterpiece. This guitar came with a badly cut nut and went out of tune all the time. Maybe the tuners aren`t that great either. So this guitar must have been pretty long in the shop were no one cared to address the tuning issues. Then PRS decided to upgrade this model with bird inlays (this older and more modest model here has beautiful moons) So the price of this guitar went down as far as possible. I don`t think the shop that sold it to me earned any money at all with it. I think the guitar looks way better without the scratchplate. And although the original reddish pots are very beautiful I replaced them because I like a simpler look better. Another thing I don`t like is where the pickup selector switch is. Too far away for me. And the pickups? Nice for a beginner. Nothing wrong with them but not really as dynamic and alive as the guitar itself. 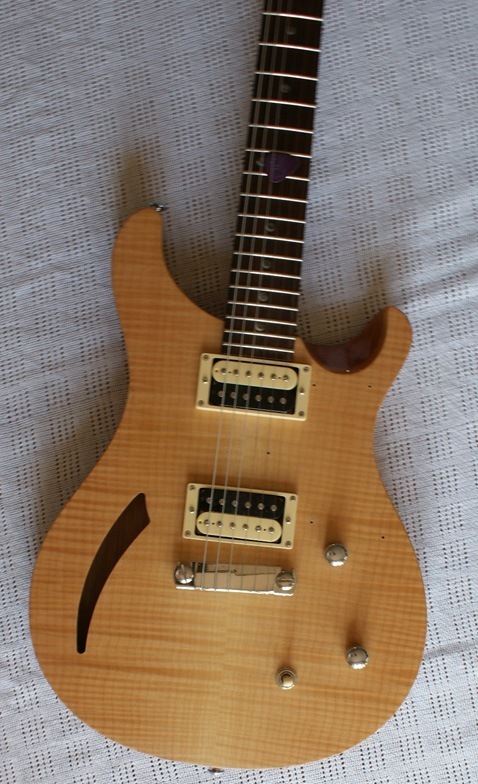 I think with a set of real good pickups, this guitar could be a lot better and compete easily with US-made instruments three times as expensive. 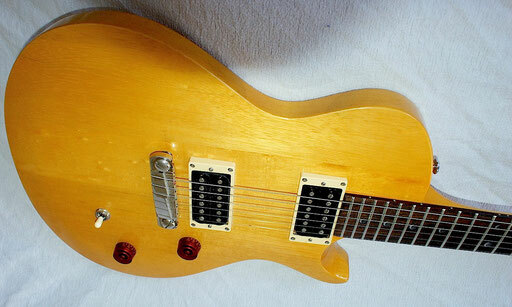 I will try some Gibson 57 Classics, Burstbuckers, Fralins or something else, a bit darker and maybe a bit more powerfull. The substance of this guitar is so great, I` m sure it will be one of my favourites for a long time. That is the original look. too posh for me. A word about the PRS Customer Service. I mailed them and asked if I could fit a Bigsby or a Duesenberg Tremola on top of this guitar or if the top might be to thin for it. PRS didn`t bother to answer. I think the Duesenberg Tremola is much, much better than the Bigsby stuff, unless you don`t mind that it takes three hands to put new strings on a Bigsby and that it tends to go out of tune. 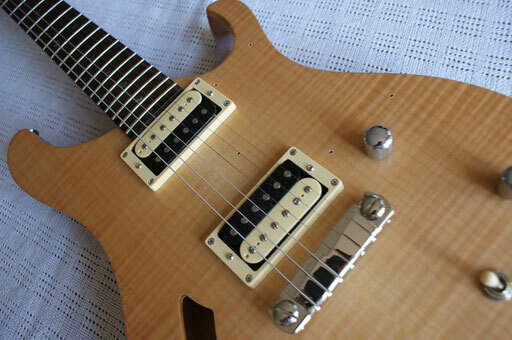 But in the meantime I changed my mind and I will not replace this simple PRS wraparound bridge. The guitar just sounds too good with it. 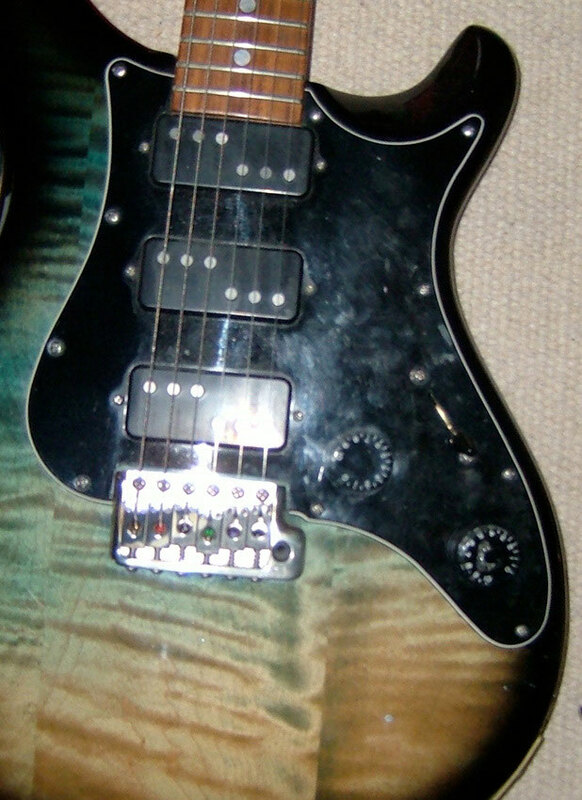 PRS SE Korina 2 (Korea 2012?) Primitive but simple. Very nice! Of course you want to know how these two compare. 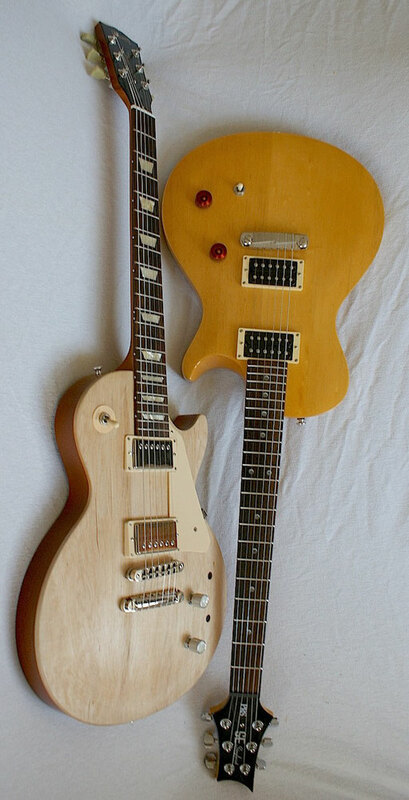 The price was nearly the same but since the Gibson is only an USA-model and the PRS comes from Korea the PRS` built quality is clearly superior. 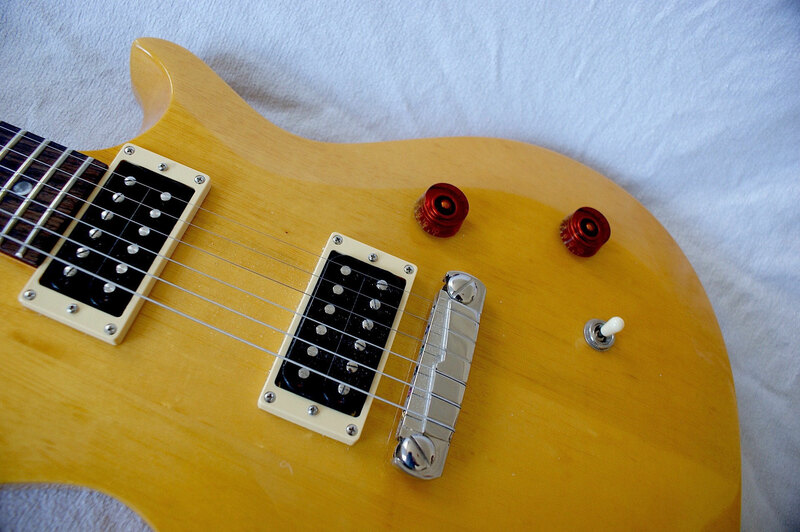 The PRS SE pickups, electrics, tuners and saddles are okay but in order to have the full potential could be upgraded. The same goes for the Gibson.